Kate McGahan: Life is the School Love is the Lesson: Where are you in the Grief Process? Find Out Here. Where are you in the Grief Process? Find Out Here. You are managing your loss in your own unique way. Everyone is different. There is a framework, however, that was designed by the famous death expert, Elisabeth Kubler-Ross. Ross determined that most people typically go through a predictable series of stages of emotion and growth in their grief. After working with Kate as a hospice therapist for many years, I can say that yes, most (not all) people go through these very stages -- in their own way and in their own timeframe. Others have a more unique style -- they can ride the roller coaster of loss and go around and around on the merry go round, re-visiting stages repeatedly and sometimes out of order. They can be stuck forever without a guide to help them through their grief, or they can fly through the process all at once and never even realize that they grieved a loss at all. 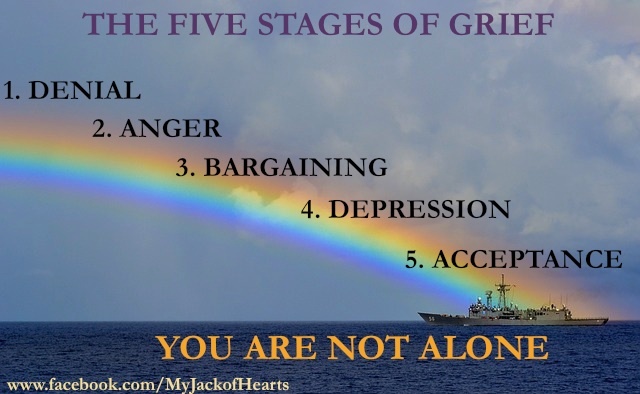 What phase of grief are you in right now? 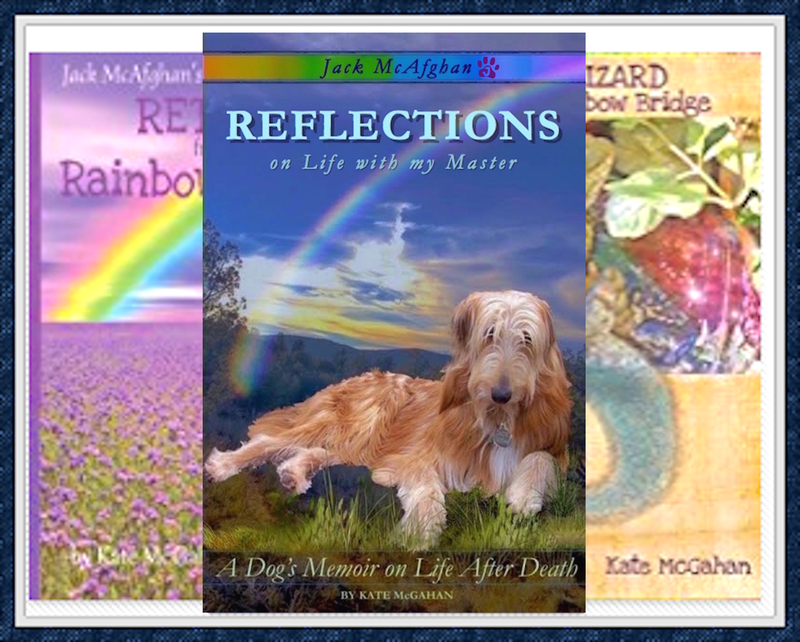 Most of us have seen the "Rainbow Bridge" poem many times. Did you know that it can be used as an Assessment tool too? 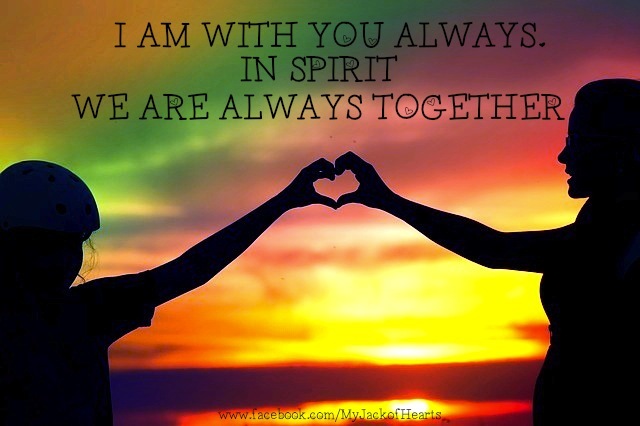 It is a very good indicator of where you are in your cycle of grief. 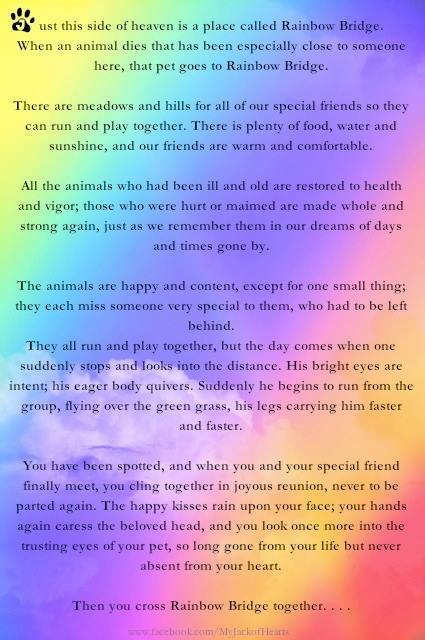 It applies beautifully to those who have lost a beloved pet, but it applies to all losses on the Life Stressor Scale. Kate is reading the poem today. She still cries at the part towards the end where pets and their people are reunited. She cries because the thought of seeing me again makes her so happy. It's so much better than it used to be because she used to cry at the first sentence because I was gone from her sight. She was devastated because in those days, in that phase, she only wanted me back. She couldn't let go. She was in (1) Denial then. Those in the (2) Anger stage will tend to get triggered by 'all the animals who had been ill', as this is the one place in the poem that focuses on the past; on the pain and on the suffering. Grieving or not, people who are angry are typically stuck in the past. Those in the third stage of Bargaining will get an emotional jolt from 'they each miss someone very special to them'. They are still fighting the missing of their friend. They are focused on 'the dreams of days and times gone by'. If only they could have their loved one back! This person is still trying to negotiate. They can be stuck on the IF ONLY's. They will be emotional at this part of the poem because the predestined reunion is not yet clear. (4) Depression. When we are depressed we get stuck on 'they each miss someone very special to them, who had to be left behind' (!). People in this stage are now totally aware that their loss is real and they feel the pain of the loss more than ever. This is why sometimes you think you are getting worse, but you are really getting better. If you were in an accident, your traumatized body would initially go into shock. Hours or days later you would feel the intense pain when the shock wears off. In much the same way, Denial, Anger and Bargaining keep us focused on something other than our pain. These stages keep us "safely" in our heads and out of our emotions. God designs us this way because we cannot handle all of our losses all at once. But look! They run and play together, the animals. They are not unhappy at all! The process of Acceptance begins the moment you draw near to your pet; when your pet spots you and you see your pet and you know your reunion is inevitable and permanent. The grief process is complete when 'you cross the Rainbow Bridge together'. Crossing the bridge is a metaphor for Acceptance and completion. Tears can flow for years and years and tears can flow forever, but there are also some people who are able to work through their grief, allowing things to be what they are with no more tears at all. There is no "right way" to grieve. There is no "wrong way" to grieve. There is only YOUR WAY. If you have loved, you will always feel a bittersweet sentiment when you read this poem from beginning to end. What sentence in the poem makes your tears start to flow? Your answer will tell you how much further you have to go to heal. The further you go into the poem without tears, the more you have healed. If you are struggling with grief and loss issues and you see no improvement or hope for recovery, please seek out a bereavement or loss counselor to help you through it. Most community hospice organizations have a counselor or pastor available who is willing to provide such a service in the community at no charge. Godspeed your journey.